The Coral Castle, Monument To Unrequited Love Among Florida Tourist Attractions. Coral Castle is a Miami attraction that softens the heart of the hardest human being. It tells a tragic yet inspiring story like no other Florida tourist attractions. Many men have been jilted by a lover, but only one that I know of has built a magnificent coral castle to mourn the event. Some men turn to drink; others build a castle dedicated to love. Ed Leedskalnin was such a man. 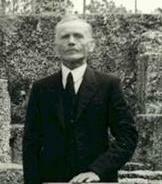 Ed was born in Latvia in 1887. When he was 26, he was engaged to be married to Agnes, his true love. Agnes was only 16. Ed called her his "Sweet Sixteen". Agnes canceled the wedding just one day before the ceremony. Ed was heartbroken, and left Latvia for the New World. He ended up in Florida in 1918. Along the way, he had decided to create a lasting monument to Agnes. Ed was a very small man, just over 5 feet tall and 100 pounds. Somehow he built his castle without any outside help. 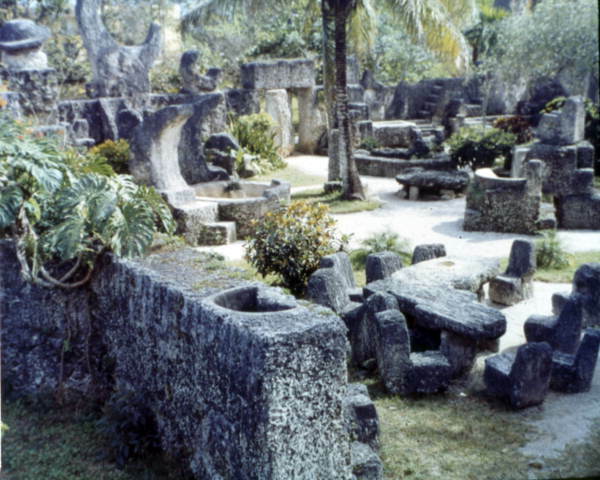 He also did not have any large machinery, yet he carved and sculpted and moved 1100 tons of coral rock into what became the Coral Castle. He cut and moved these huge blocks of coral rock using only hand tools. He started the work on his place in Florida City in 1918, and when he opened his attraction to the public he called it Rock Gate Park. The photo below shows Ed sitting in one of his chairs at the time. In 1936 he moved himself and all of his work 10 miles away to Homestead. He decided to move because a subdivision was being planned near his Florida City property. He wanted his privacy. It took him 3 years to make the move using a homemade trailer and a friend's tractor. Ed did much of his work at night by lantern light. After all the carvings were in place in 1940, Ed finished erecting the walls. Each section of wall is 8 feet tall, 4 feet wide and 3 feet thick. When people asked Ed how he moved the blocks of coral, he would only reply that he understood the laws of weight and leverage well. There is no record of anyone observing Ed carving in Florida City or in Homestead. He has baffled engineers and scientists! When Florida tourist attractions are discussed, many civil and structural engineers pronounce Coral Castle as their favorite. People have compared Ed’s secret method of construction to Stonehenge and the Great Pyramids. In December 1951 Ed became ill. He put a sign on the door of his Castle saying “Going to the Hospital”. He took a bus to Jackson Memorial Hospital in Miami. Three days later he died in his sleep at the age of 64. After his death, a box was found in the castle with 35 one-hundred dollar bills, Ed's life savings. He had made the money from giving tours of the castle for admission fees ranging from 10 cents up to 25 cents. No other Florida tourist attractions were offering that kind of bargain. 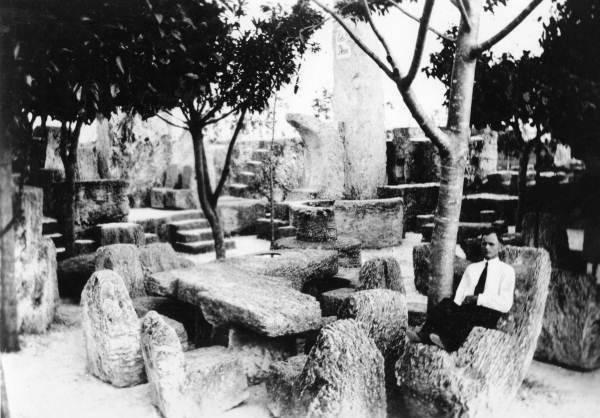 Edward Leedskalnin’s life achievement, The Coral Castle, an undying testimony of his great love for Agnes, took him from 1923-1951 to build. He never intended for it to become a Miami attraction. It was his testimonial to Agnes. Forever carved in stone, this castle is a timeless beauty that defines Ed’s undying Love for his “Sweet Sixteen”. Coral Castle is on the National Register of historic places. From the West: Take I-75 or Route 41 to Route 997 (US 27).Go South to SW 288th St., turn left and go to 157th Ave., turn left. From the Northeast: Take turnpike extension from Miami, take exit # 5 (288th St.), go right for 2 miles to SW 157th Ave., turn right. From the South: Go North on US Highway 1, turn right onto SW 288 St., turn left onto SW 157th Ave.